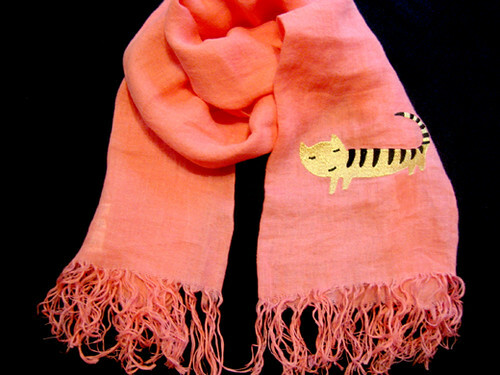 I got this light weight airy linen scarf from TSUMORI CHISATO. 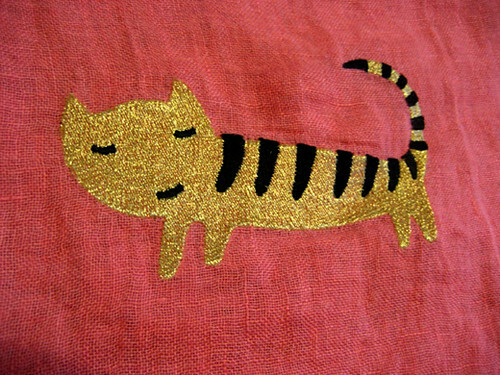 The scarf with embroidery of lovely cat giving it a fun mischievous look. It protects perfectly against mild coolness of summer and autumn evenings. can you buy tsumori chisato online anywhere? her stuff is so pretty.